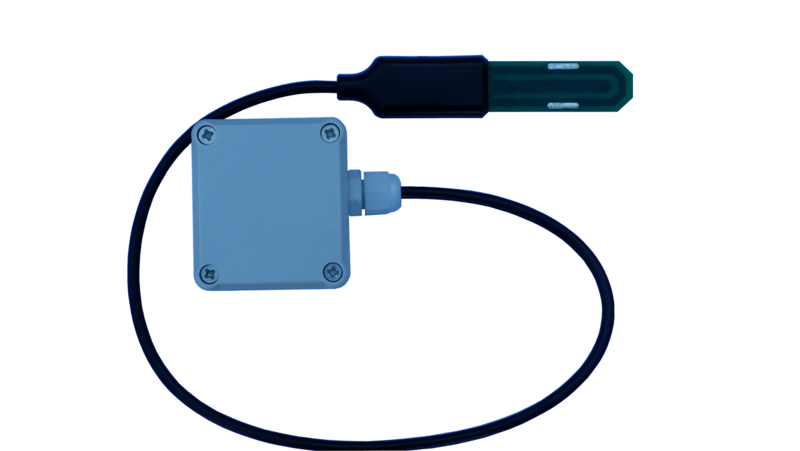 The PM-WCS-3 family sensors is low-cost, accurate soil moisture sensor for monitoring water content, electrical conductivity and temperature of soil. 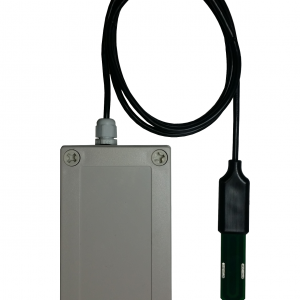 Dust and water proof, every sensor is tested by submerging it in to the water, battery box grade: IP65. LoRaWAN class A device, may be activated with OTAA or ABP for any LoRaWAN network supporting EU868. Setup via USB CDC-ACM virtual COM port. Android application for USB setup and free online monitoring via The Things Network gateways. 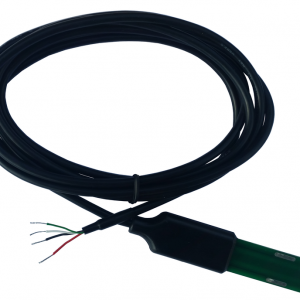 Sensor consumes max 0.3 mA in sleep mode, 12 mA in active mode and 150 mA in transmitting mode. Recommended battery is 3.6v ER14505. Sensor also may be powered from any 5v Micro-USB power source. After power up sensors wait 10 seconds for USB configuration session connection from android application or USB CDC terminal, if none is connected sensors turns off USB hardware and starts normal operation. Format what you are usually getting from LoRaWAN is hex string, which you have to convert to bytes. LoRaWAN configuration may be done via USB CDC-ACM virtual com port with 115200 baudrate. Before configuration you need to switch off device and then connect to usb port of your computer. On linux it will be detected as /dev/ttyACM0 . Device waits for 10 second after power up for USB CDC-ACM connection, then it goes to normal operation mode and is not reachable via USB CDC-ACM port. For linux permission settings please consult. On Linux you may use minicom utility to configure sensor. For windows PuTTY may be used. We recommend Android mobile application for sensor setup and data reading/storage described in chapter 5.1.
appeui <val> OK Sets Application EUI for OTAA activation. deveui <val> OK Sets Device EUI for OTAA activation. key <val> OK Sets App Key for OTAA activation. addr <val> OK Sets Device Address for ABP activation. nwks <val> OK Sets Network Session Key for ABP activation. apps <val> OK Sets App Session Key for ABP activation. info config vals print this parameter setup values. Device supports LoRaWAN downlink message for device sleep time (data sending interval) adjustment. Message should contain 5 bytes, 1st byte is Ox01 and following 4 bytes is unsigned 32-bit integer time in seconds to sleep. For example sending HEX 010000000A will set interval to 10 seconds, but 0100000E10 will set interval to 3600 secs = 1 hour. To connect to LoRaWAN, disconnect from phone and connect to battery or any (other then android phone) Micro-USB power source. 1. remove device battery prior to connecting device via Micro-USB to phone or another USB power source. 2. in case you are setting your own configuration parameters from TTN or other LoRaWAN operators, input DeviceEUI, AppEUI, AppKey to device config app and click “SET” button for each value, then remove USB cable from device and reattach power source like battery or 5v USB supply to restart device. .
3. we included USB-OTG adapters for connection to android device, still you will require micro-usb charging cable for connection to device micro-usb connector (warning – battery should be removed while connecting to phone). For LoRaWAN sensors data is streamed online via LoRaWAN gateways connected to TTN. Click login in application main page, to signup with your google account. Attach LoRaWAN sensor to phone’s USB OTG port, wait for status USB Connected and go to soil sensor application’s settings tab. Click READ to read data from sensor or GENERATE button to generate new address data. Input your device’s name without white spaces and click REGISTER OTAA button, to register device to cloud. Your device should appear on main tabs sensor list. Chose your sensor in list to see data from sensor. Soil Sensor Android application receives LoRaWAN sensors data via Tinovi zerver.io IoT cloud application. You may login to this dashboard tool using your google account and create nice dashboards to monitor your sensor data. input from TTN DeviceEUI, AppEUI, AppKey: to device config app and click “SET” button for each value, then remove USB cable from phone. Note: device are not connecting to LoRaWAN while in configuration mode, after configuration you need to disconnect from configuration app and reconnect to new power source like battery or external Micro USB power supply. Note: after you connected to your own TTN application, data from device are not sent any more to our Android application via TTN, because we have no access to your application on TTN. So you have to create your own app integration with TTN. You may use any android phone supporting OTG host option to configure USB and LoRaWAN sensors. Click READ to read address data from sensor. Tinovi Soilsensor Android application receives LoRaWAN sensors data via https://zerver.io/graph IoT cloud application. You may login to this dashboard tool using your googles account and create nice dashboards to monitor your sensor data. For USB sensor modification this application may be used as data logger, because it stores data readings to android flash memory and displays them to graphs. Data displayed in graphs may be copied to clipboard in CSV format and shared or saved to file. * Online LoRaWAN sensor monitoring via TTN connected gateways. This android application allows easy to configure and monitor soil moisture sensors. source code of mobile application is located on Github there. !WARNING please remove device battery before attaching device to USB port for configuration. Leaving battery with attached USB power supply may damage battery or your device’s USB port. !WARNING device waits for 10 seconds after power up for configuration terminal software connection. After terminal connection it remains in configuration mode until terminal software is disconnected. !WARNING device joining mode OTAA or ABP is switched automatically on configuration when you setup OTAA or ABP parameter.